More than 99.7% of earth’s water is unusable by humans and most living things, due to saline or water trapped in glaciers. This leaves a tiny portion of accessible fresh water for us to use, according to a US Geological Survey. South Africa is a semi-arid region with a mean annual precipitation of 497 mm per year, just over half of the global average of 860mm per year, making South Africa the 30th driest country in the world, according to the World Wildlife Fund. In addition to this, research has indicated that the total precipitation is the region has declined and South Africa’s water resources are likely to decrease further as a result of climate change and rapidly increasing population growth and urbanisation. With Day Zero looming for Cape Town, the current water crisis is testimony to this and water security very much in the balance. 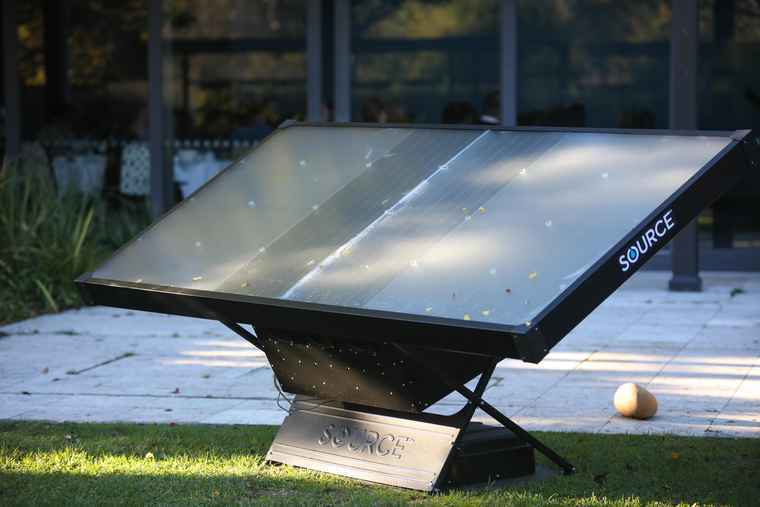 A world-first technology, Zero Mass Water’s Source Hydropanels uses sunlight and air to make safe and pure drinking water. Powered entirely by solar, SOURCE extracts pure water vapour from the air and it converts it into liquid water, similar to distilled. The water is mineralised with magnesium and calcium before being delivered directly into the tap. Cody Friesen, Zero Mass Water found and CEO is a materials scientist and an associate professor at Arizona State University developed SOURCE, which utilises an ultra-absorbent material which collects water from the air around it in even arid conditions. Producing an average of 3 – 5 litres of water per panel per day, the hydropanels are built in arrays designed to meet the drinking water needs of each application. For developers and architects incorporating smart-home technology into their designs and offerings, SOURCE is a differentiating feature of any modern home. Providing drinking water security and quality without any environmental consequence, SOURCE Hydropanels are vital for every resilient home and community. For the hospitality sector, SOURCE adds value when built into scalable arrays. The SOURCE Hydropanels are modular and can be aggregated to meet the drinking water needs of a hotel, lodge or office building. “With the high-cost and environmental damage of bottled water, hotels and attractions need a better choice for their guests. Our system provides a daily supply of delicious, high-quality drinking water while offsetting the carbon footprint of bottled water. With renewable water made on-site, SOURCE offers an infrastructure-free and cost-saving alternative to bottled water, without the hassle or logistics of purchasing and delivering it,” says Friesen. With the technology installed for emergency situations, in municipalities that have failing infrastructures, and homes for families looking for a better drinking water choice, the scope of applications for SOURCE Hydropanels in South Africa is seemingly endless, and will certainly go a long way to ensuring water security for all.